HoteloPro makes it easy to keep all information about your guests tidy and easily accessible at any time and place. 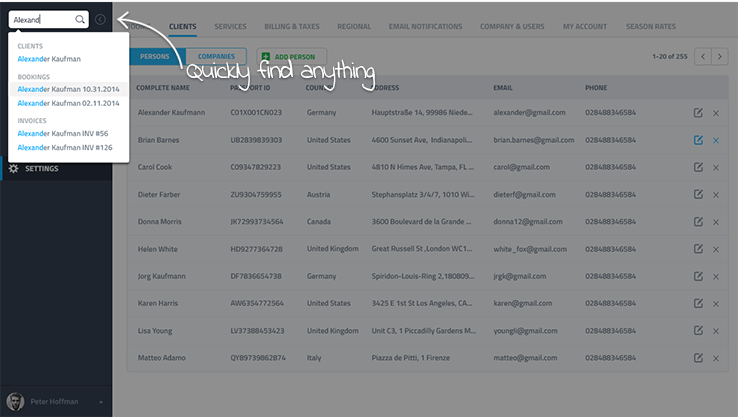 Use the search box to quickly find a person, company, booking, invoice, and more! HoteloPro allows you to engage guests using automated pre-arrival and post-stay emails. 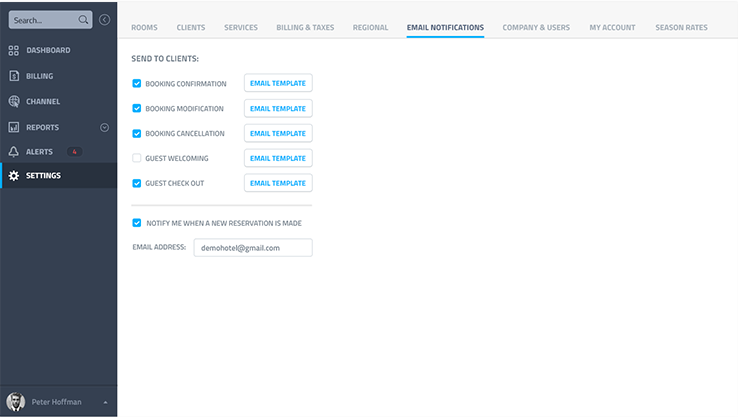 The email templates are fully customizable, feel free to add your personal touch by replacing the pre-defined content with your own message! Use the pre-arrival e-mails to remind your guests of their booking and give them an opportunity to change it. Ask for feedback and let them know about special offers; or simply say �Thank You!� using the post-departure e-mail.